During the Napoleonic Wars, Napoleon’s occupation of the Iberian Peninsula prompted one of the greatest outbreaks of unconventional warfare in military history. In July 1807, Napoleon invaded the Iberian Peninsula. Napoleon calculated that such a military operation would be be relatively easy due to perceived Spanish weakness and inept leadership. 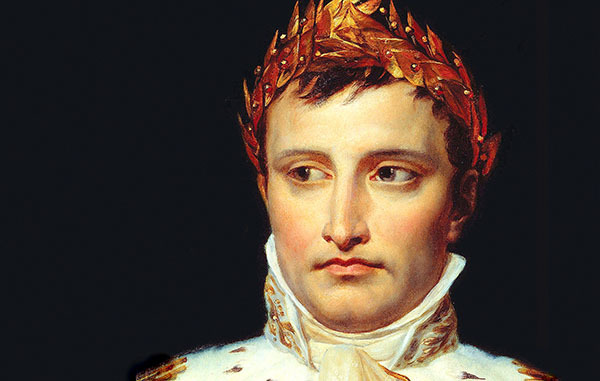 If successful, Napoleon could exploit Spain’s resources and expand his Continental System, denying the British another important trading partner. Napoleon did not anticipate the will of the people to resist a foreign invader. Shortly after his successful invasion and defeat of conventional forces, guerrilla warfare ensued. In response to the demands of unconventional warfare, Napoleon’s initial invasion force of 50,000 swelled to 80,000 by 1808. Guerrilla tactics employed by ordinary peasants resulted in French forces precariously controlling only the ground they physically occupied. Guerrilla fighters varied in their composition and motivation. Mountaineers, who held suspicion and hate of anyone from outside the mountain areas, made up some guerrilla unites. The French brutality motivated many peasants throughout the countryside to join guerrilla units. French occupation of cities resulted in urban populations of varying social status to provide aid and recruits for guerrilla fighters. For others, unconventional warfare provided opportunity. Bandits throughout the peninsula seized opportunities to raid French supply lines in the hopes of gaining valuable war material and food supplies. Former officers of the defeated Spanish army no longer had their regular unites to command. To make up for the lack of regular forces, many took command of guerrilla units. Others formed guerrilla units of their own. The employment of unconventional warfare by the people of the Iberian Peninsula allowed them to take and hold the initiative. Guerrilla tactics included operating in small, local bands. Spanish guerrillas chose when and where to attack the French. They also had the advantage of not having to engage French forces in open combat. Rather, Spanish guerrillas attacked targets of opportunity with great effect. In the early stages of guerrilla warfare in Spain, guerrilla units focused most of their attacks on French communications. Before long, the continued success of guerrilla attacks on French communications forced the French to provide military escorts up to 300 strong for each courier. Such successes emboldened guerrilla bands to increase the intensity of their attacks and importance of their targets. 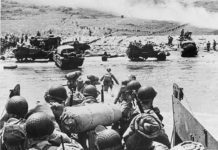 Guerrillas began attacking French convoys, seizing weapons and food. The guerrillas constantly harassed and attacked targets of opportunity whenever they could. Like most wars, guerrilla warfare did not result in the wholesale destruction of French power in the Iberian Peninsula. Nor could local, scattered guerrilla bands realistically hope to achieve a decisive victory against the highly organized and well supplied professional French army. Viewing the Napoleonic Wars as a whole however, the unconventional warfare waged by the people of the Iberian Peninsula did have an important material and psychological impact on the French. Guerrilla warfare in Spain forced Napoleon to increase his forces in the region to over 80,000 at any given time during the occupation. In spite of their efforts, for most of the occupation period the French merely controlled the ground they stood on, alone and isolated in a hostile, foreign land. With escalating conflict on the European continent, Great Britain remaining dominant on the seas, and limiting French capacity to make war, Napoleon could ill afford grinding unconventional warfare on the Iberian Peninsula. Approximately 50,000 Spanish guerrilla fighters accounted for approximately 145,000 French dead, or roughly ten percent of the French army per year of occupation. To put the numbers in perspective, more Frenchmen died in the Iberian Peninsula fighting guerrillas than Napoleon’s invasion of Russia in 1812. The French experience in the Iberian Peninsula or the “Spanish Ulcer” as Napoleon called it, serves as poignant reminder that fighting an unconventional war often results in a commitment disproportionately higher than commanders of professional armies can predict or expect. Robert B. Asprey, War in the Shadows, vol. 1 (Garden City: Doubleday & Company, Inc., 1975), 125-134. Derek Leebaert, To Dare & To Conquer: Special Operations and the Destiny of Nations, from Achilles to Al Qaeda (New York: Back Bay Books, 2006), 330-331.